While the growing concern in the US about the quality of drugs being manufactured at Indian facilities may be valid, given 40% of the generics sold in that market are of Indian origin, not all USFDA regulatory action is targeted at Indian drug makers. Indeed, the USFDA has on several occasions found fault with global pharma majors too. If the US Department of Justice imposed a $550-million fine on Ranbaxy in June last year as felony charges for manufacture and distribution of certain adulterated drugs, close to $13.5 billion has been levied on major pharmaceutical companies, US and otherwise, since 2009. Among those that have been asked to pay up are Pfizer, GlaxoSmithKline (GSK), Johnson & Johnson, Sanofi and Amgen. The largest healthcare fraud settlement — a whopping $3 billion —happened when GSK pleaded guilty to charges of unlawful promotion of certain prescription drugs, failure to report certain safety data and alleged false price reporting. Pfizer, for instance, has been subject to 106 inspections between October 2008 and October 2013 and on four occasions “official action indicated” (OAI) observations were issued. This would mean there were “significant” objectionable conditions or practices found and regulatory action was warranted. During this time, French pharmaceutical major Sanofi too was issued two OAIs, Swiss drugmaker Roche one and German healthcare company Bayer four. In the case of Swiss drug producer Novartis, the USFDA found, on 37 occasions, objectionable conditions or practices that did not meet the threshold of regulatory significance. To be sure, Indian firms have been found to be more than careless; in 2013, Wockhardt was rapped by the USFDA, got two warning letters and an import alert for two of its facilities. At the same time, both Pfizer’s subsidiary and Wyeth’s Italian facility were also warned for violations of current good manufacturing practices (cGMP). Warning letters, along similar lines, were handed out to Novartis’ subsidiary Ebewe Pharma in May 2013, while medical devices maker Baxter Healthcare got two letters for “adulterated devices” and for not conforming to cGMP rules. Two of Hospira’s sites — Rocky Mount in the US and Irungattukottai in India — have also been found wanting and consequently sent warning letters with the matter yet to be resolved. Global medical devices leader Johnson & Johnson faced about 8,000 lawsuits over the quality of its metal hip implants —which resulted in a $2.47-billion settlement in November last year. Although Jimenez agreed that Novartis has faced issues, he added that the cost structure for sub-scale generics companies would change and that “they may not become competitive on price”. The UK regulatory authority – the UKMHRA – also pointed out that despite pulling the good manufacturing practices certificate from Wockhardt’s Chikalthana and Kadaiya units, there were no issues identified in the quality of medicines. 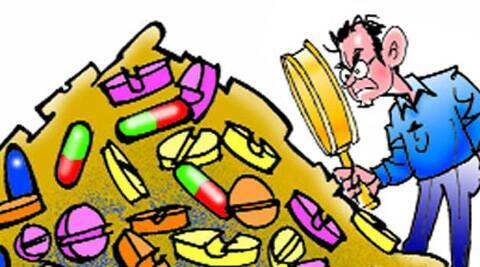 The Mumbai-based company’s drugs were recalled twice in 2013. On both occasions, the regulator remarked that there was no evidence of a risk to patient safety from products currently in the UK market. Nevertheless, “it is considered that the products have not been manufactured in line with GMP requirements,” the regulator said.